Nagpur : These quotes may not matter much till you know that these have come from none other than the Shahanshah of the world of advertisement Prahlad Kakkar. 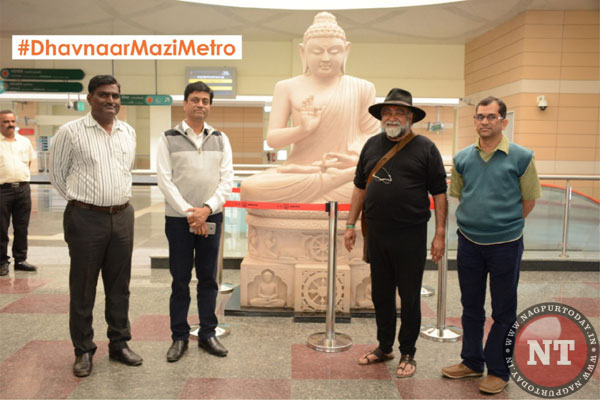 The Ad Guru, known for his series of advertisements that caught fancy of Indian viewers, was in Nagpur on a personal trip. And the first thing he did was to visit Nagpur Metro Project. On his day-long visit to the city, the Ad Guru visited Airport South, New airport and Khapri Metro Stations of Nagpur Metro project. Marvelling at the interior design, the sculpts, the 3-dimensional paintings detailing in each work, architecture, finishingat these three locations, Prahlad Kakkar said that this is one of the best ever projects, he has ever come across in his life. The Ad Guru was taken around the three stations by GM (Admin) Anil Kokate & GM (O&M) Sudhakar Urade. The compliment, coming for someone, who is not known for mincing his words, mean a lot, since Nagpur Metro project has always been hailed for multiple reasons – the architecture and interior designing inclusive. “The intricacies in the project have been very well take care of. And I strongly believe that God is in the details,’’ the Ad Man said while interacting telephonically with MD MAHA METRO Dr. Brijesh Dixit. “The finesse with which it is being effected compels me to say that I would love to be Brand Ambassador of Nagpur Metro Project,’’ Kakkar said. While showering praise on the architecture and other aspects of the station designing, he also had some suggestions for making the Metro operations more effective. The AD Man suggested some measures that would help in boosting the revenue through advertisement to be earned by Maha Metro Nagpur. He also suggested deploying more women employees at prominent locations across Metro Stations to ensure that the gathering there is disciplined and follows rules to the fullest. 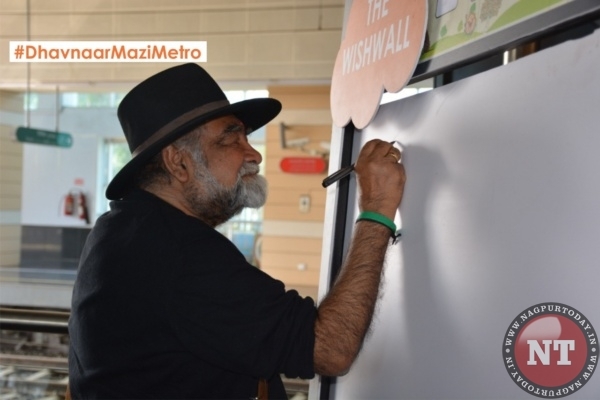 Such a step would also ensure cleanliness at all Metro locations, he quipped. The station area could also be used for music concerts and similar such events; the increased footfall because of such events would ultimately help in increasing Metro ridership, he said.